Never ones to slow down for long, Nick Cave and the Bad Seeds will be treating their faithful to a new live EP. 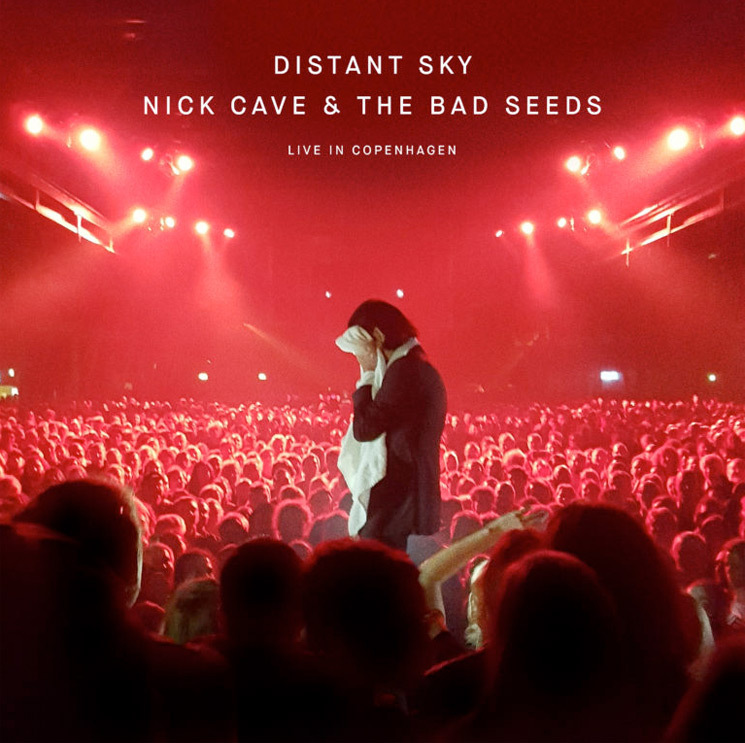 Titled Distant Sky – Nick Cave & the Bad Seeds Live in Copenhagen, the mini-release will arrive on September 28. The EP follows the band's concert film of the same name and will arrive digitally and as a 12-inch vinyl. For a taste of what to expect, you can check out a clip from "Distant Sky" at the bottom of the page. Besides that title track, the EP features live renditions of "Jubilee Street," "From Her to Eternity" and "The Mercy Seat." All the tracks were recorded at Copenhagen's Royal Arena in October 2017. As previously reported, Nick Cave and the Bad Seeds have a North American tour coming up, including a stop in Toronto on October 28. You can see the schedule here.